For context, Bernie recently declined to endorse Jon Ossoff, Democratic candidate for the Georgia congressional seat Tom Perez left open when he became Trump’s Health & Human Services Secretary, stating that Ossoff was “not progressive” on economic issues. I want candidates who are progressive on economic issues, too. It is inconsistent, however, to hold such a hard line with Ossoff yet be willing to overlook the harmful anti-choice stance of another Democratic candidate. Abortion is not just one issue. It’s health and economics and education and stability of families. Most of all, access to abortion is VIEWING WOMEN AS AUTONOMOUS BEINGS. One of the most important reasons I started this blog: to fill the void of too-few liberal voices talking about how our faith inspires our politics. Except she said she was a Democrat, and it poked a hole in my worldview. It was the first hint I had that politics might be more complicated than I had previously realized. (To be fair, I was ten. The entire world was more complicated than I had previously realized.) What I didn’t know then was that Democrats, with their New Deal and Social Security and fairer labor laws, had made the American Dream possible for people like my grandparents, who never graduated high school; who drove a garbage truck; who worked at a factory. Democrats made it possible for them, and so many others, to create a good life out of hard work and to raise children who had more than they did. One of their sons went on to own his own business. Another, my dad, got a doctoral degree. My grandparents were so proud. My grandfather who was a garbage truck driver was also a farmer. At his funeral, people our family didn’t even know packed into the church and later told us how he would bring them food from the farm when they were down on their luck. That was part of my inheritance from my family: I learned that you’re supposed to help other people because that’s what Jesus would do. That’s what love would do. Republicans argue that government shouldn’t be in the business of helping people, because people should be helping people. I can understand that to some degree. Certainly, the onus is on us as individuals to love our neighbors as our selves. Unfortunately, no matter how I and my local faith community may help people, I have to recognize that not all people have access to a community that gives generously. I have to recognize that too often churches place restrictions on their helping, that exclude the very people who may need it the most. Additionally, I recognize that not all congregations have equal resources to help their communities. Some areas of the country need more help than others. I appreciate that there is a federal government that can provide help and is accountable to us, its people, for doing so in fair ways. One may deride that as socialism, but when all is said and done, it is, for me, more personal than any political label. It’s about my faith. 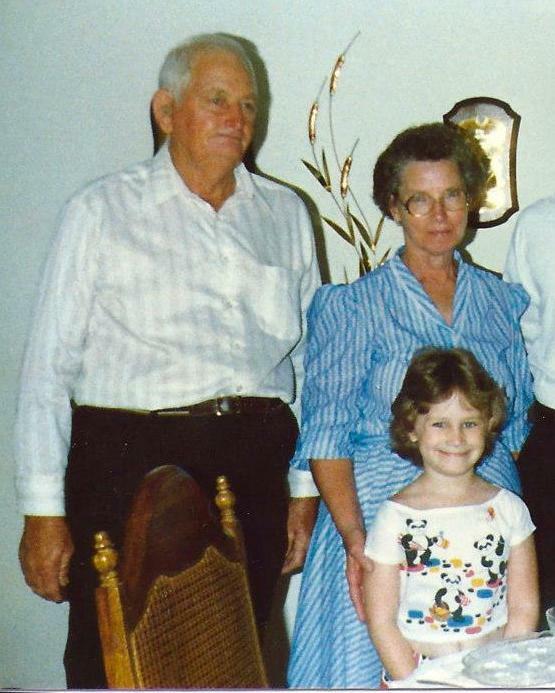 It’s about what I learned, deep in my bones, from the words of Jesus and the life of my grandma and grandpa. 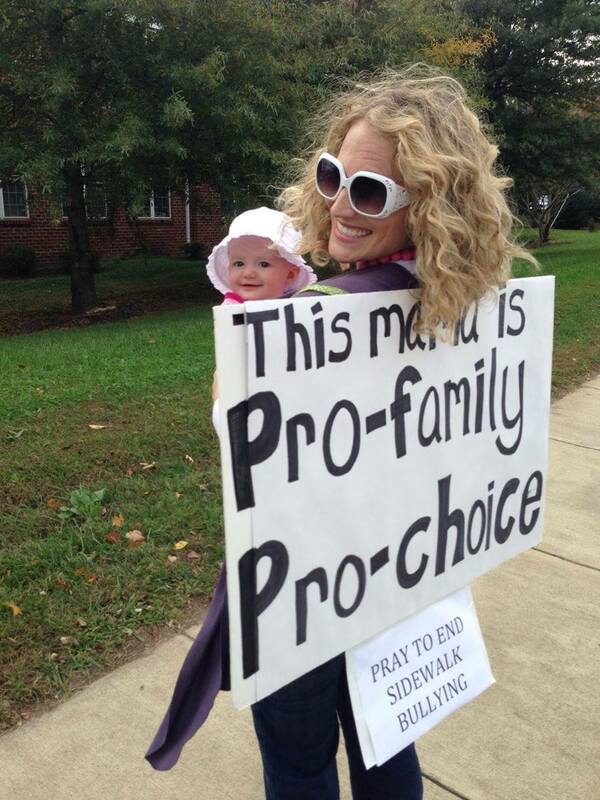 I became pro-choice after I had my first child. Previously, I would have identified as non-judgmental but non-committed – I couldn’t judge other women’s choices, but I had yet to explore my own conscience on the issue of abortion. But there I was, having carried a baby inside my body, now holding her in my arms. She was perfect. She was utterly defenseless. I experienced how exhausting and scary it was to take care of a baby, even when she was deeply wanted and loved, when there were two parents and an extended family dedicated to her well-being, and health insurance and a steady income and maternity leave. I now felt as Anne Lamott so eloquently articulated about abortion access: “It is a moral necessity that we not be forced to bring children into the world for whom we cannot be responsible and adoring and present.” Because children are vulnerable. Because they are precious. I also came to understand how important it was for the lives already here – women and their families – to have access to abortion. Women terminating pregnancies weren’t the irresponsible people I had been told they were. The Guttmacher Institute states, “The reasons most frequently cited [for having an abortion] were that having a child would interfere with a woman’s education, work or ability to care for dependents” [emphasis my own]. These were women already taking care of others. 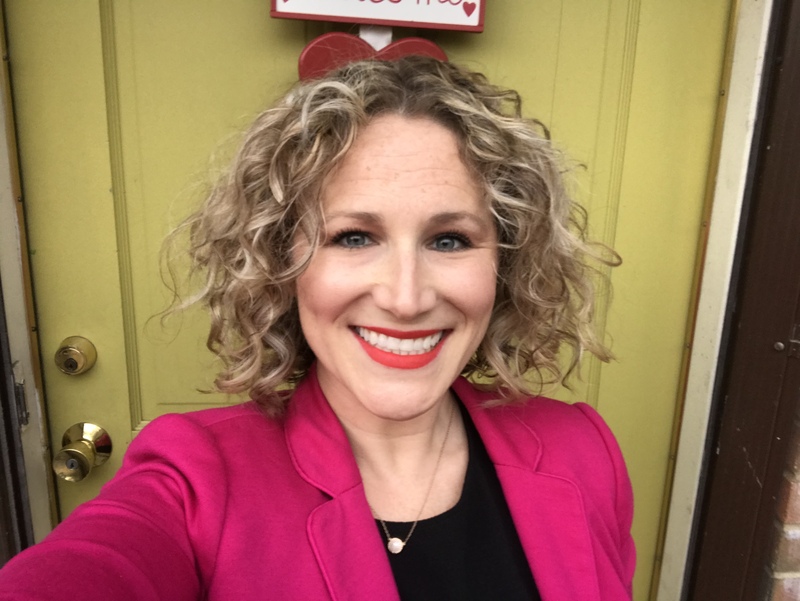 As a mother fiercely protective of my daughter and with a better understanding of how reproductive rights affect families, I became deeply committed to promoting reproductive health and choices, including access to abortion. In the 2016 campaign to be the Democratic nominee for the presidency, there are two candidates with a grade of 100% from Planned Parenthood: Bernie Sanders and Hillary Clinton. Whichever candidate wins the nomination, I will vote for them without hesitation. However, I am supporting Bernie to be the nominee because his policies will be the best for women both including and beyond reproductive rights. Access to abortion and birth control is about me and other women having agency to create the best lives for our selves and our families. But there are other crucial factors necessary for true agency, as well. We need family leave policies that are humane, instead of forcing mothers to make a choice between caring for a newborn and her own health versus losing her job. We need a fighting chance at financial stability, with living wages and without college loans debt that cripples our ability to provide for our families. We need fair treatment by institutions like the police, courts, and education systems, regardless of our race (did you know that in the ‘60s, Bernie was arrested for protesting segregation in Chicago schools?). We need to know that we will always, always be able to get our children the healthcare they need, and medical bills won’t bankrupt us if we get sick. We need to know that our money won’t be spent on wars that don’t make us safer. We need legal protection, regardless of our sexual orientation. Bernie Sanders has been fighting for these things his whole life. He is consistent. He says what he means and always has. He wants every American to have access to a good life, where we have choices, about our reproductive health and more. Whenever I talk about abortion publicly, I try to focus on what I hope to accomplish: access for all women who need it. One day several years ago, after hearing someone make cruelly disparaging remarks about women who terminate pregnancies, I went home and wrote this personal manifesto: I’m not interested in telling people how they’re wrong or defending how I’m right. I’m about sheltering bruised reeds and smoldering wicks. I’m about walking alongside the shamed, with my head held high. I’m about holding and loving and comforting and rejoicing. I am not about fighting or defending. Love will bring justice to victory. I grew up reading the Sermon on the Mount. Jesus cast his lot with those without power, the disenfranchised, the last in line. Women, minorities, the poor. It was from Him that I first learned to do the same. That is one reason that access to health services – including abortion – for all is so important to me. Also important are the financial, legal, and civil policies that can make or break women’s abilities to direct our own lives and mothers’ abilities to take care of our families. I am pro-choice. I am pro-family. I am voting for Bernie Sanders to be the Democratic nominee for President of the United States in 2016.